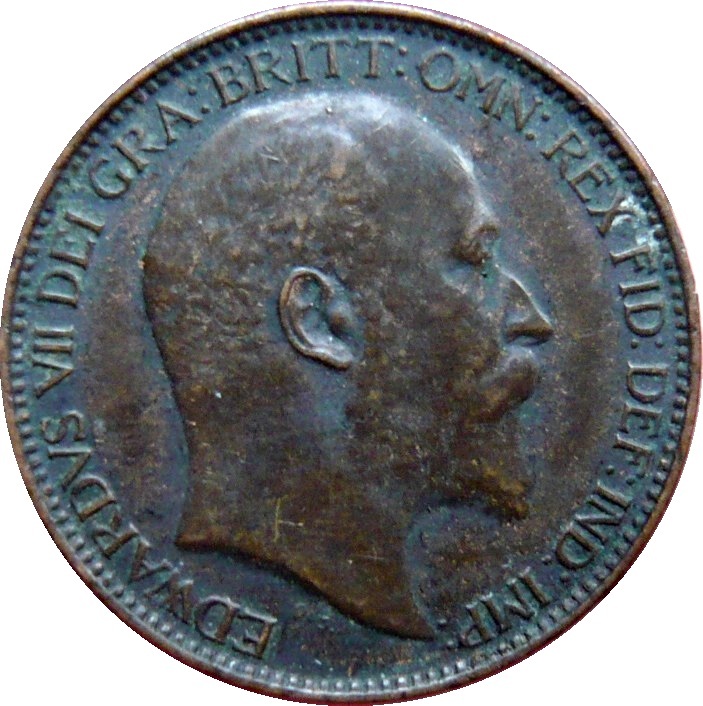 Uncrowned portrait of King Edward VII facing right, legend around. Lettering: EDWARDVS VII DEI GRA:BRITT:OMN:REX FID:DEF:IND:IMP. 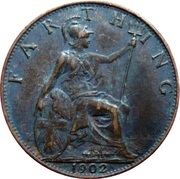 Seated figure of Britannia facing right, trident in left hand, shield with Union flag in right hand, denomination above, sea behind, date in exergue. 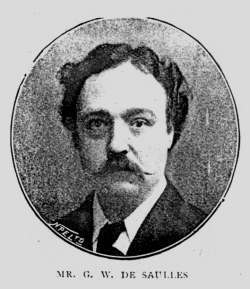 The original weight of these pieces was 43.75 grains or one tenth ounce avoirdupois. 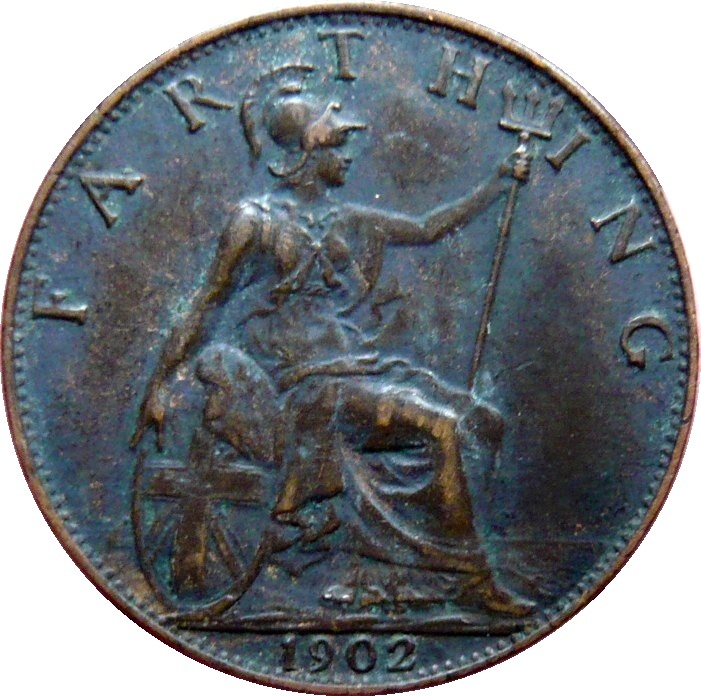 Due to the fact that on occasion uncirculated farthings had been passed off as half sovereigns, those struck between 1897 and 1917 were produced with an artificially darkened finish. 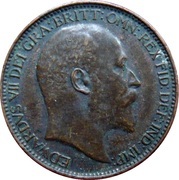 The method adopted was to use acid fumes to darken the coins giving them a 'blackened' appearance, however on some coins this has resulted in shades down to light brown.